In my view, Public Diplomacy has also become the farm team for development, where it is up to Public Diplomacy to organize programs to reform journalism, run scholarship programs, and provide opportunities to the dispossessed. Let’s be candid: Public Diplomacy doesn’t have the resources to make a lasting dent in any of these areas. And this puts Public Diplomacy into the broad field of social change, not the focused world of communication. To my mind, it’s a professional distraction, a diffusion of effort. I made that comment in a speech some time ago. An article in Foreign Affairs, “Development Bloat” by Marc F. Bellemare of the Department of Applied Economics at the University of Minnesota, helps flesh out what I said. Some points of his critique of development might be applied to Public Diplomacy too. Development specialists know that “there are no silver bullets,” and when they are candid, they know that many development projects do not provide what the poor want. Rather they give what the rich countries think the poor need. Yet the range of programs continues to expand. 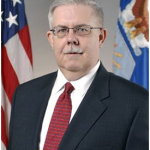 Bellemare is an associate professor in the Department of Applied Economics at the University of Minnesota, where he directs the Center for International Food and Agricultural Policy. Photo by Reena Hashim. 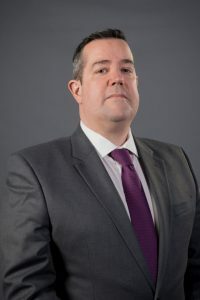 Professor Bellemare’s article and his belief that development needs to concentrate on “higher, more stable incomes” has proved controversial. The comments and critiques of his article on the Foreign Affairs website open a window on a vigorous debate on the fundamental purposes of development. Even so, can those of us in Public Diplomacy draw some lessons? Read Professor Bellemare’s article and substitute “Public Diplomacy” for “development.” To my mind, it’s suggestive. There are now more actors in “public diplomacy,” not to mention “soft power,” than before. USIA once owned the brand. Now more countries have added Public Diplomacy to their diplomatic tasks. There are many new graduate schools, foundations, and NGOs engaged in public diplomacy. Not to mention that films and television communicate images that affect how America is viewed in the world. Just as there are more actors, U.S. official public diplomacy now has more, and more expansive, goals. 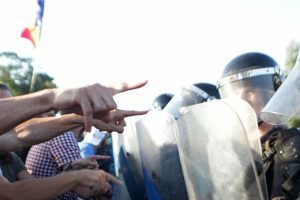 For decades, Public Diplomacy programs could mostly be grouped around democracy and human rights, economics and trade, security, global issues, and understanding the United States. Now the goals include the green agenda, climate change, empowerment, the digital divide, and youth. Exchanges now include programs in disability rights, sports visitors, international music, women’s mentoring, online exchanges, youth exchange and study, study of the U.S., MOOCs, international performing artists, celebrity envoys, community colleges, and a culinary partnership, to name a few. 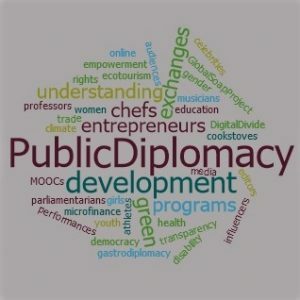 Public Diplomacy work traditionally focused on opinion leaders, influencers, and rising stars — parliamentarians, editors and journalists, professors, policy institute scholars, and the like. Ambassadors still expect Public Diplomacy officers to know these influential leaders. As goals and programs have proliferated, however, so have audiences: athletes, musicians, performers, aspiring entrepreneurs, women, girls, and chefs. The possible goals for Public Diplomacy are infinite, but money and the time of American FSOs are dear. Professor Bellemare’s caution against the proliferation of goals seems warranted. Here’s one man’s list of takeaways for Public Diplomacy. The first is to ask sharp questions about proposals for Public Diplomacy initiatives, both in Washington and on Country Teams. Development agencies have, over the years, been gripped by many ephemeral fads: infrastructure, population control, civil society, microfinance, sustainability, bridge the digital divide, and so on. Proponents hailed each as a breakthrough; each taught some lessons; but achievements were more elusive. In Public Diplomacy as well as development, then, healthy skepticism of fads – “flavor of the month” programs funded by Washington — is warranted. I am apprehensive that much of this is the Public Diplomacy parallel of Washington elites telling the people of other nations what they really need. Public Diplomacy posts’ priorities should rather be determined by the Mission Strategic Resources Plan. This allows those closest to the problems of another society to determine the priorities. Said another way: Compared to USAID’s millions of dollars, PAOs have mere thousands. Public Diplomacy resources are paltry, and diverting a share to development to demonstrate good intentions makes scant impact. The time devoted to minor league development projects, moreover, keeps PD officers away from their communication and exchanges work. When can an officer fit in reading opposition texts or watching Hezbollah videos when arranging travel and visas for program participants absorbs so much time? When is it possible to think through how to combat the rumors that polio vaccines are an anti-Muslim plot? Most PAOs will admit that they have no time to spend at opening and closing ceremonies. When can they strategize? 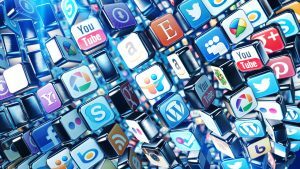 Social media is a new tool and a new challenge for public diplomacy practitioners. The debate in development should, then, prompt us to examine Public Diplomacy programs for our own “mission creep.” Public diplomacy goes through its own enthusiasms — American corners, American shelves, providing internet access, training in investigative reporting, narrative or storytelling, branding, messaging, and culinary diplomacy to name a few. The social media are the most recent. Startup diplomacy and entrepreneurship are other new initiatives. Let’s take the promotion of entrepreneurship as an example. Exchange programs and visits are a hardy perennial of Public Diplomacy, and there is surely room for projects that focus on entrepreneurship. Networks of entrepreneurs who participated in U.S.-sponsored programs could, with sustained focus, speak for the possibilities of a more prosperous and hopeful future compared to radical alternatives. I confess to misgivings, however, if development is their objective. These programs aim not at shifting opinion, a clear mandate of Public Diplomacy, but rather on directly improving economic prospects for individuals and societies. That’s development. First, Carl Schramm, University Professor at Syracuse University, notes that “there is no academic consensus on what works for starting a new business. Not surprisingly, as the number of entrepreneurship teachers grows, the number of new businesses continues to decline.” This should give pause to the idea that Americans know all the answers. Anti-corruption protest of the Romanian diaspora in Bucharest , Romania, August 10, 2018. Photo by: Cristian Iohan Ştefănescu, Flickr. Next: In many countries, the greatest obstacles to entrepreneurship are corrupt police and officials (who squeeze money from a business as soon as it shows a profit) and the system that in India was called “license raj” (oppressive sequential bureaucratic approvals, each requiring a bribe, to obtain licenses). Adding to the burdens of aspiring entrepreneurs is infirm registration of land titles and other property rights. These all have proved notoriously resistant to reform despite many USAID projects aimed at change and reform. Can a few public diplomacy conferences or exchanges create an economic culture of entrepreneurship? Can an institution with a fixed rhythm of three-year assignments, whose priorities shift from administration to administration, stay on course long enough? 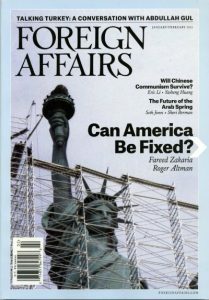 Foreign Affairs magazine issue from January through February 2013. Courtesy of Foreign Affairs. Here’s one more of Moritz’s insights. Speaking of many big companies, he said “you wonder where all those big companies went, they went away because the people at the top of them didn’t have an entrepreneurial bone in their body.” How many Foreign Service officers who are to lead Public Diplomacy entrepreneurship initiatives have entrepreneurial chops, scientific or technical degrees, or even MBA’s? Public Diplomacy’s core strengths are in information, opinion, persuasion, and exchanges. Publicizing USAID programs and working to influence public opinion should be PD’s contribution to the development agenda. Running minor league development and social change programs is, in my view, a recipe for frustration because the tasks are so large and Public Diplomacy resources are so paltry. Moreover, they are a distraction from Public Diplomacy’s core goals and expertise. An earlier version of this essay appeared on the old Public Diplomacy Council website on November 1, 2015.